Allegiant Air and Sun Country Airlines are two low-cost carriers that offer credit cards that surprisingly aren’t the most budget-friendly cards. Nevertheless, they come with some nice perks if you fly frequently enough. First, let’s take a look at Allegiant’s card. It is a World Mastercard, which in and of itself is a nice perk. The World marque comes with a variety of benefits. These include concierge services, discounts at luxury hotels and resorts, travel services, and airport concierge. The Allegiant card comes with a $59 annual fee, which seems rather odd considering that this is a budget airline we’re talking about. Nevertheless, there’s a decent rewards program that is a standard feature. Purchases on allegiantair.com earn 3 points for every dollar spent. 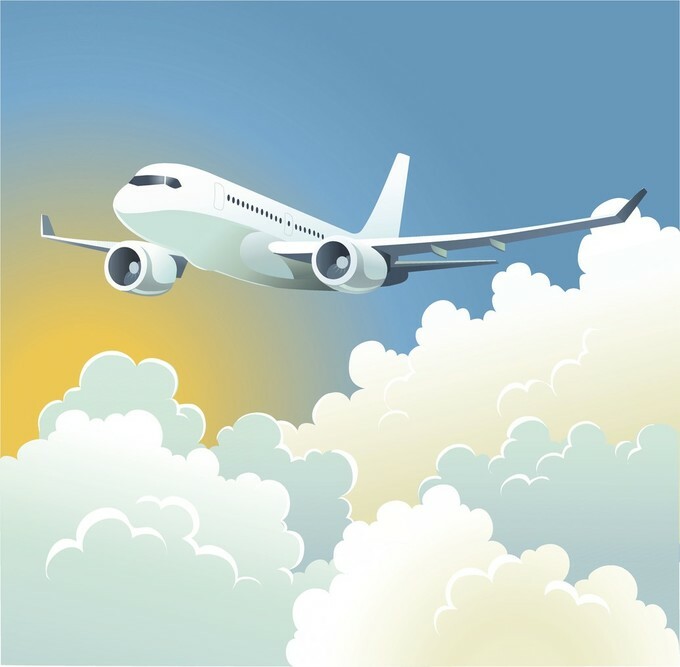 Car rentals, hotels, airfare, and attractions that are purchased on the airline’s website all qualify for this level. Two points are earned for each $1 spent at restaurants, and all other establishments have a lower 1 point per $1 rate. Points don’t expire as long as you make one purchase with the card every twelve months. Another great policy is that Allegiant doesn’t enforce any blackout dates or destination restrictions if you decide to use points to redeem for airfare. If you just need a rental car or hotel, you can redeem points for those as well. If you’re interested in a trip to a sunny destination in the southern U.S., you will get one free air ticket on Allegiant when you purchase one other ticket plus the vacation package on the airline’s website. The package must include four or more hotel nights or seven or more days with a rental car. Besides the rewards program, Allegiant cardholders also get priority boarding on all flights and one free beverage for each ticket. 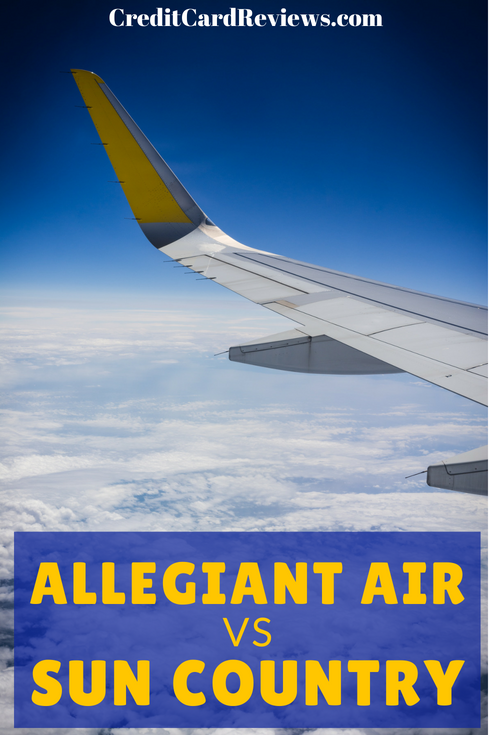 The itinerary must be purchased with the Allegiant credit card in order to qualify. Now let’s take a look at what Sun Country delivers. Its card is a Visa Signature, which is roughly at the same level as the World card. Before you apply for the Sun Country card, you need to be a member of the airline’s Ufly frequent flyer program, a slight nuisance. It takes just a few minutes to enroll on-line. The Visa card comes with a $69 annual fee, although it is waived the first year. Once again, the annual fee is rather odd given that this is a budget airline. Allegiant doesn’t waive its charge the first year, although it’s $10 cheaper. Sun Country’s card also offers a free checked bag, and not just for the cardholder, but for everyone on the itinerary. Allegiant doesn’t provide this perk. The rewards program on the Sun Country card is less generous than Allegiant’s. Two points are garnered for each dollar spent on Sun Country purchases, while other transactions earn just one point. Miles can be redeemed for a variety of items at suncountry.com. One of the services that Sun Country sells is chartered flights, a tempting idea if you have the money or points. As with Allegiant, the Sun Country site has a large variety of vacation packages in sunny destinations. These include Los Cabos, Melia Puerto Vallarta, and Cancun. The airline’s package to Los Cabos is under $400 if you depart from San Diego. The package includes meals and a stay in a 3-star hotel for 2 nights. Both cards offer bonus points for spending a minimal amount of money after receiving the card. These extras might ease the pain of an annual fee, although both cards seem to fall short overall in the level of advantages they offer. Neither card allows accumulated points to be redeemed for gift cards or magazines, which American Airlines does permit, for example. If you travel frequently enough on Allegiant or Sun Country, applying for one of the cards may be worth it. But it’s doubtful many people would qualify as a frequent flyer as neither carrier has many destinations.